The presidential candidate of the Peoples Democratic Party, PDP, has accused President Muhammadu Buhari of ordering the security personnel that searched his (Atikuâ€™s) private Jet. Speaking through the Atiku Campaign Organization in a statement yesterday, the former Vice President alleged that the deployment of security men was directly ordered by the President in his capacity as Commander-in-Chief, being the only one so authorised to do so. He also observed that the search of the aircraft had been canvassed in a statement issued by the All Progressives Congress, APC, a week ago. 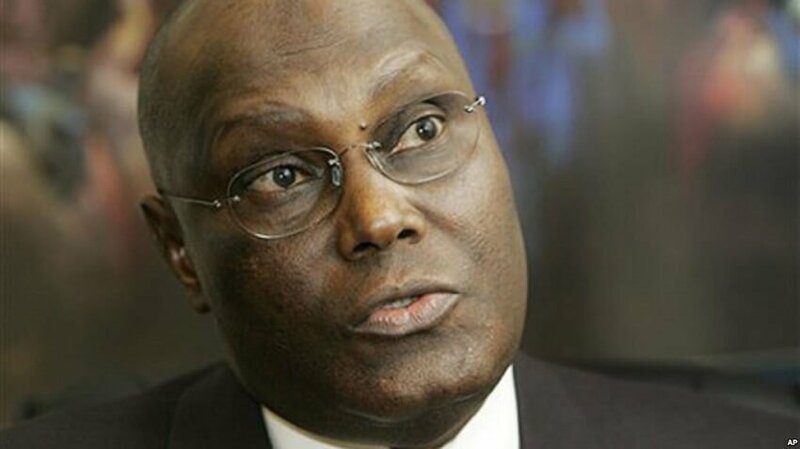 The Atiku Campaign Organization said, â€œOn November 5, 2018, exactly a week ago today, the All Progressives Congress released an official statement accusing former Vice President Atiku Abubakar of having strategy meetings for the purpose of moving â€˜illicit cashâ€™ into Nigeria and they asked the security services to investigate HE Atiku Abubakar and his plane. â€œTo quote from the APCâ€™s statement, the ruling party said â€˜Our intelligence, anti-graft and security agencies must be awake to their responsibility of investigating the Dubai meeting. â€˜Cash-and-carry politicians must be prevented from moving illicit cash around to induce voters and sponsor election violence and rigging. â€œThey thereafter asked the security services to search aircraft belonging to members of the Peoples Democratic Party. â€œThat statement evinced an obvious premeditated intention by the APC and its Federal Government to deliberately embarrass the former Vice President by invading his plane with security personnel and possibly to set him up for the crimes they had already officially accused him of in their statement. â€œThe official denial by the All Progressives Congress and the Presidency of any hand in the ordeal of the former Vice President is put to lie when you examine their statement of last week which was clearly what was implemented against the former Vice President. It also shows that both parties have no credibility and will do or say anything to further their interests. â€œThe statement by the aviation ministry that the search of Atiku Abubakarâ€™s plane is â€˜routineâ€™ is an afterthought that does not hold water for the simple reason that the PDP Presidential candidate has been flying in and out of Nigeria without ever receiving such a treatment until the APC released its statement. â€œThis event raises grave concerns about using government services for purely political purposes and what this portends for the conduct of free and fair elections in February 2019, and shows as hollow President Buhariâ€™s promise to superintendent over credible polls. â€œThe Atiku Presidential Campaign Organisation wishes to remind Nigerians and the international community that by Nigeriaâ€™s constitution, only the President can order the deployment of military and paramilitary personnel as Commander-in-Chief.